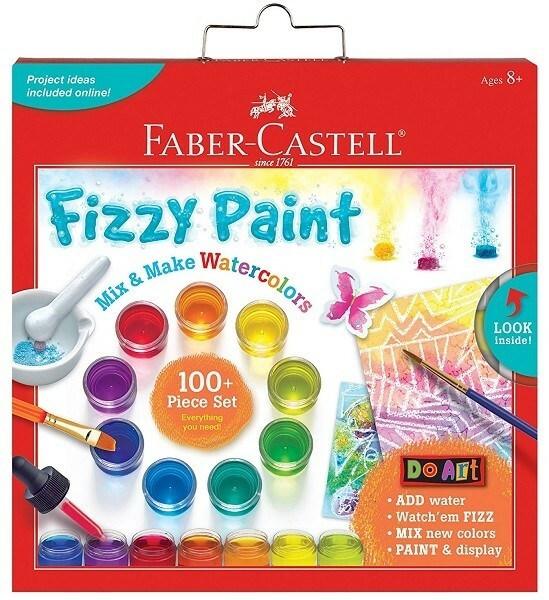 This innovative fizzy paint kit from Faber and Castell allows children to learn the basics of color and color mixing, while incorporating a fantastic amount of fizzy fun! 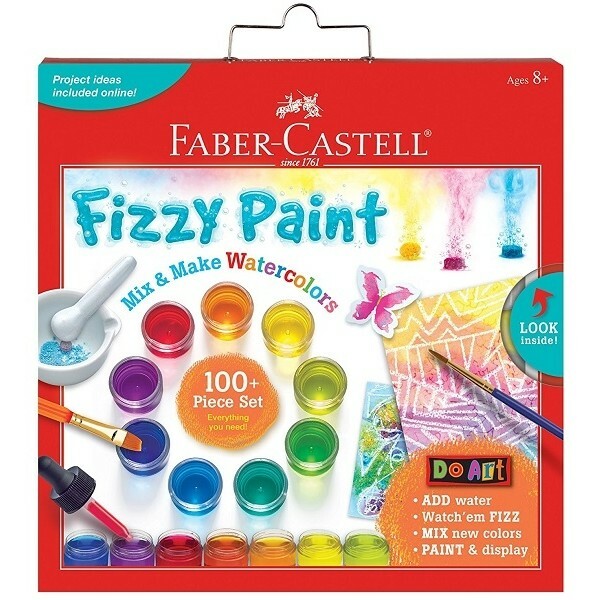 Add water to watch your fizzy paint bubble, then use your brush to create beautiful watercolors. Explore making new colors with our guided instructions. Handy storage containers allow you to keep your colors to use over and over again. This set includes 75 fizzy paints in 3 colors, 2 paint brushes, water mister and dropper, containers with removable lids, paper, frames, and hang tabs. It also includes a mortar and pestle to grind the tabs into powder for other intriguing art projects.